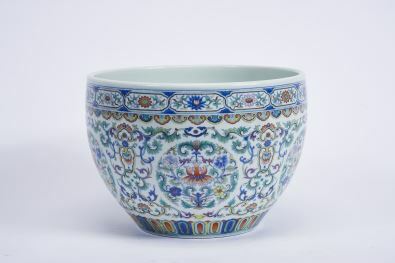 A new national record for the auction of Chinese porcelain has been established at CABRAL MONCADA LEILÕES during the second session of Auction 181, dedicated to Antiques and Works of Art, held in Lisbon on the 27th of September 2016. 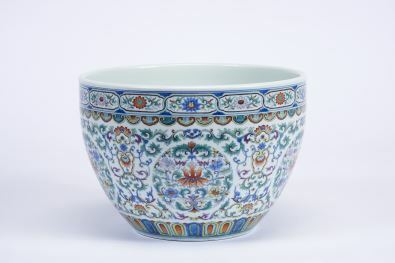 Lot 425, a fishbowl, with polychrome "Floral” decoration, Qianlong reign, marked, put on sale with a base of € 120,000 was sold for € 640,000. Lot 426 - a second fishbowl, identical to the previous, but not marked, put on sale with a base of € 60,000 was sold for € 250,000. Provenance: Sir Francis Cook Collection, Viscount Monserrate (1817-1901), Monserrate Palace, Sintra. Acquired by the grandfather of the seller at the Auction of the Monserrate Palace Collection, held in November 1946.